The electrification of transportation offers Nevada and its citizens tremendous economic and environmental benefits. Additionally, by reducing foreign oil imports, electric transportation also improves our national security. 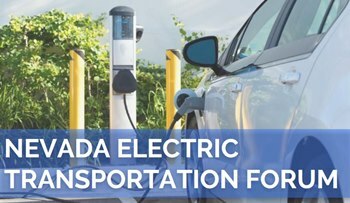 This event examines these advantages in depth, with local, regional, and national experts presenting the reasons why Nevada's policymakers should accelerate the adoption of electric vehicles and other electric transportation options ranging from transit to school buses--improving our air quality while creating jobs.